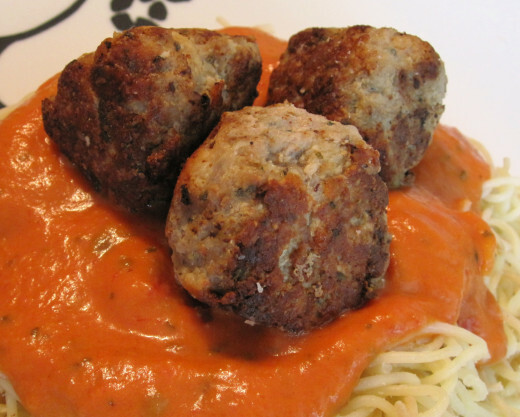 These delicious meatballs taste just as good if not better than their red meat counterparts. 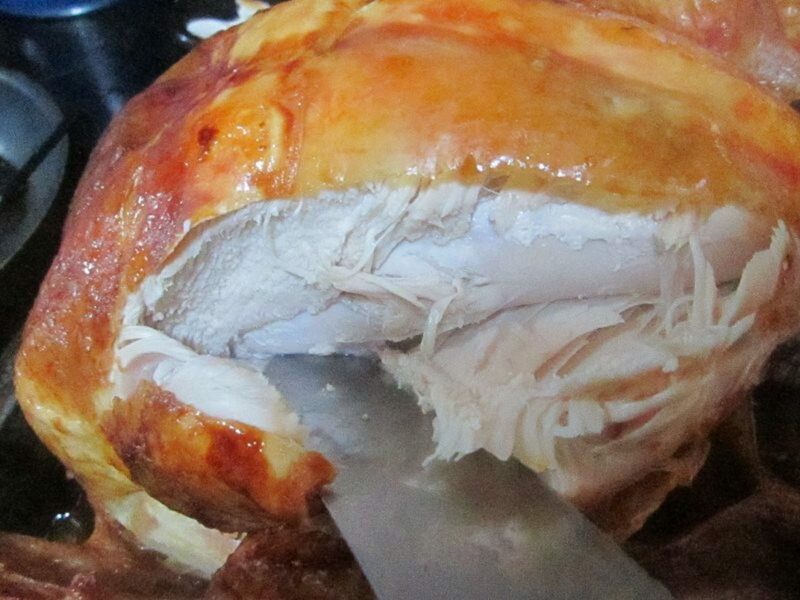 Turkey is far cheaper than beef, plus you get all the wonderful benefits of eating turkey. 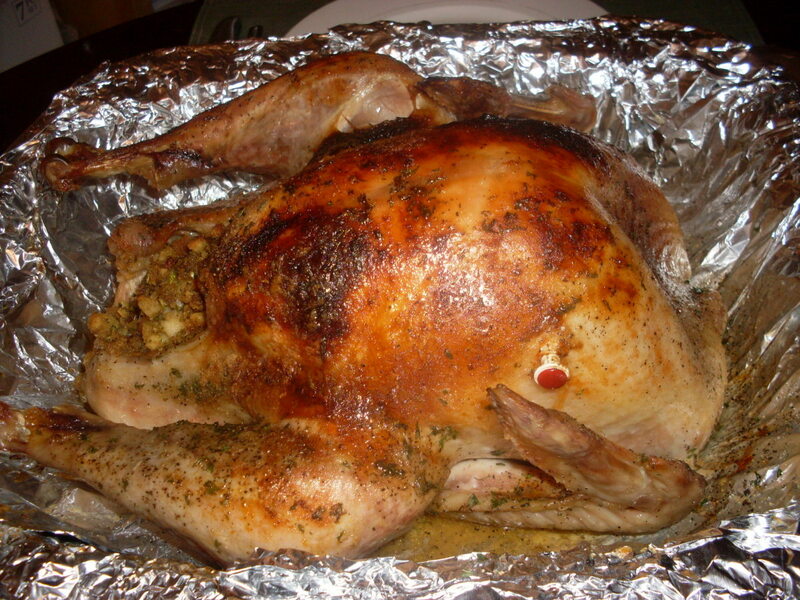 Turkey is lower in saturated fat while still being an excellent source of protein. One four ounce serving has about 32 grams of protein. It's also a great source of vitamins B3 and B6. These are essential for helping your body make the most out of the protein you eat plus B6 helps brain function. On top of all that it contains selenium. This mineral is needed for the thyroid and immune system to function properly. It also plays an important role in the antioxidant defense system, helping reduce the risk of cancer. Still want to make your meatballs out of beef? Eat quickly... they disappear fast! Like the idea of substituting turkey for beef? Try this family favorite! The pictures were taken when I was making a quadruple batch for a family get together. I single batch will make enough for about 6 servings. 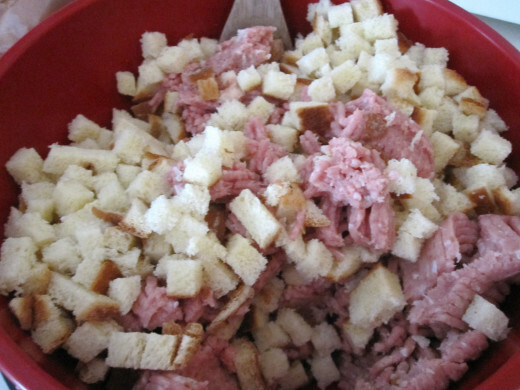 In a large bowl place your turkey and bread cubes. Don't bother mixing just yet. I have you do this first so the turkey has time to come up to room temperature before cooking. This ensures tender, juicy meatballs. 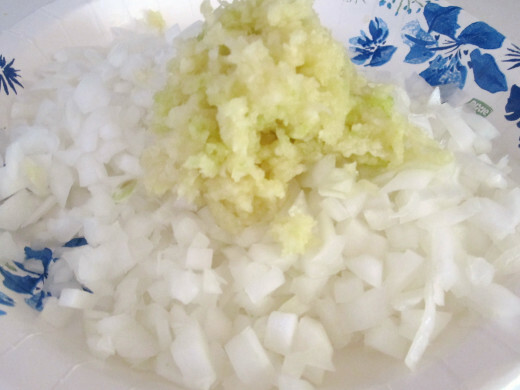 Make sure your onion is finely chopped and your garlic minced. 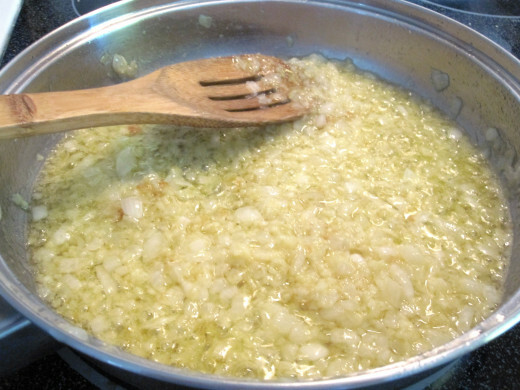 In a frying pan saute the onions and garlic in the 2 tablespoons of butter until the onions just become translucent. Let the onion mixture cool just a couple minutes then add to the bowl with the turkey. 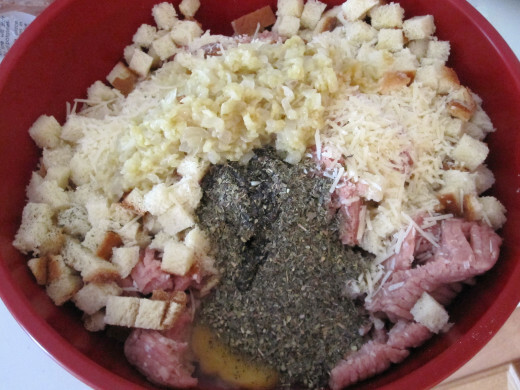 Add the Italian seasoning or herbs, parmesan cheese and egg to the bowl of turkey. Use your hands to thoroughly blend all the ingredients together. In a large frying pan heat up some olive oil. Just enough to coat the bottom of the pan. 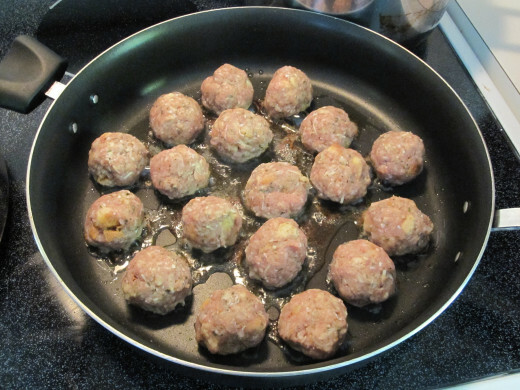 Once the oil is heated roll 1 1/2-2 inch meatballs and add them to the pan. Try to work quickly. If you want to take your time rolling them don't add them to the pan but make a plate of raw meatballs and then add them all at once to the pan. Place them so they don't touch. If your pan isn't big enough you'll have to make them in batches. Cover the pan and let cook about 8-10 minutes, or just until the bottoms are caramelized but not burnt. Uncover and turn the balls over and let brown on all sides... this should take a few minutes per side. Remove from pan and place on a paper towel lined plate. Serve warm. We like them both plain or on top of our favorite pasta. If you're making spaghetti you can take them out of the frying pan and put them right into the sauce pan. Let them soak up the pasta sauce and add their own wonderful flavor. 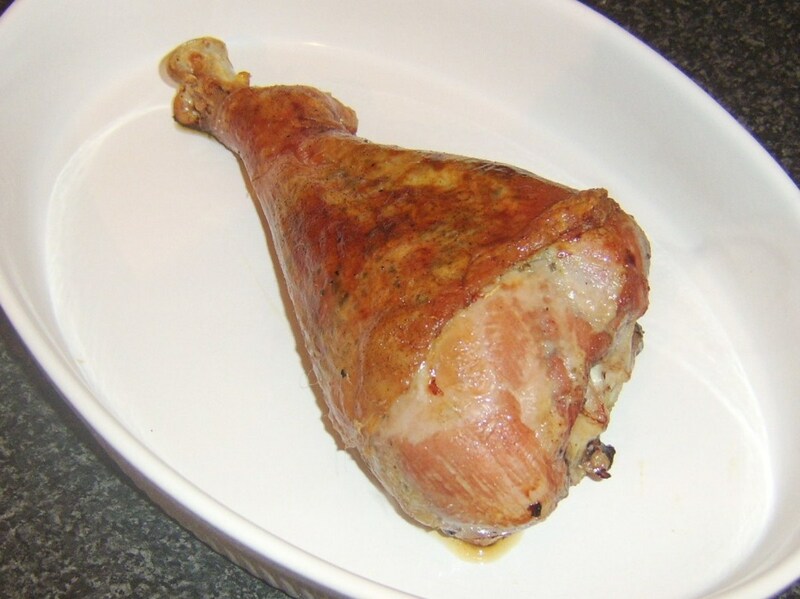 What do you like to cook with more, red meat or poultry? 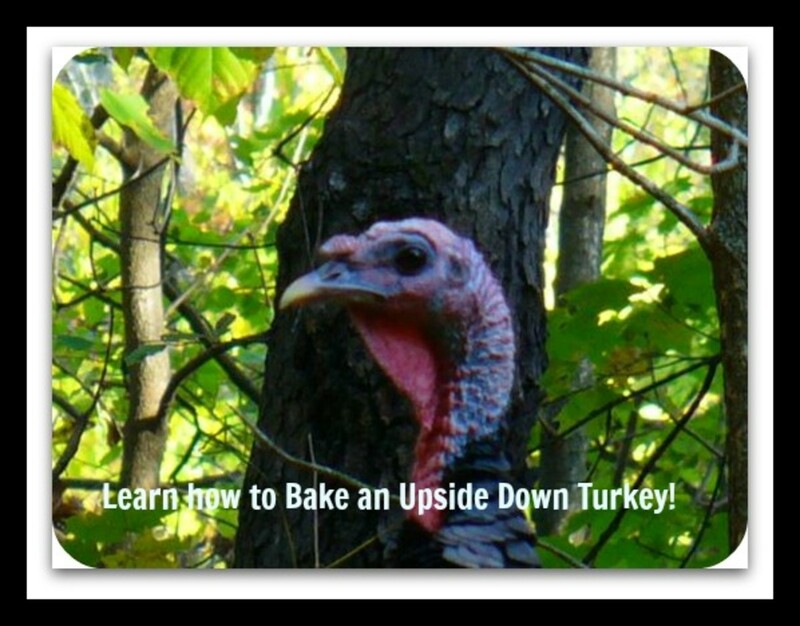 Turkeys are tasty and rich in protein but compared to beef they are more healthful. 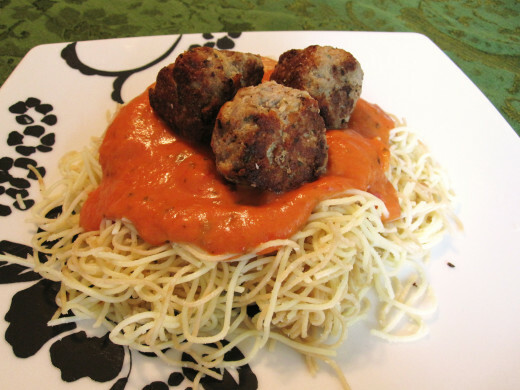 This is the spaghetti with meatballs that I'm sure I won't be at least guilty. Thanks for sharing, will definitely try it out for me and my family. Voted up and awesome. Nice healthy recipe. Would love to try it out. Voted up/useful and shared. You won't be disappointed I'm sure Alun ^_^ Enjoy! Thanks for the recipe! I'll have to get some cream. Thank you Alun! ^_^ The sauce is a traditional tomato basil with about a 1/4-1/3 ratio of heavy cream added while warming it up. Sounds like a great idea for those who want a healthier option to beef. And a well written recipe too. (I like the look of the sauce too!) Mmm - Starting to feel hungry! Alun. Brett, If there is chicken available then you could use that... and it's even better if you grind it yourself ^_^ Even my Korean mother in law likes to make her mandu with ground chicken... it is THE best mandu EVER! ^_^ Maybe.... I'll write a hub for it someday. Thank you so much for your comment and wonderful support! Fantastic idea! Have to try it soon. I am always looking for new ideas for meal, don't want my family to get bored, LOL. Thanks, voting up and useful. Lacey, Absolutely healthier ^_^ My family actually prefers the turkey taste as well. Thank you for your great comment and I hope you and your daughter enjoy! 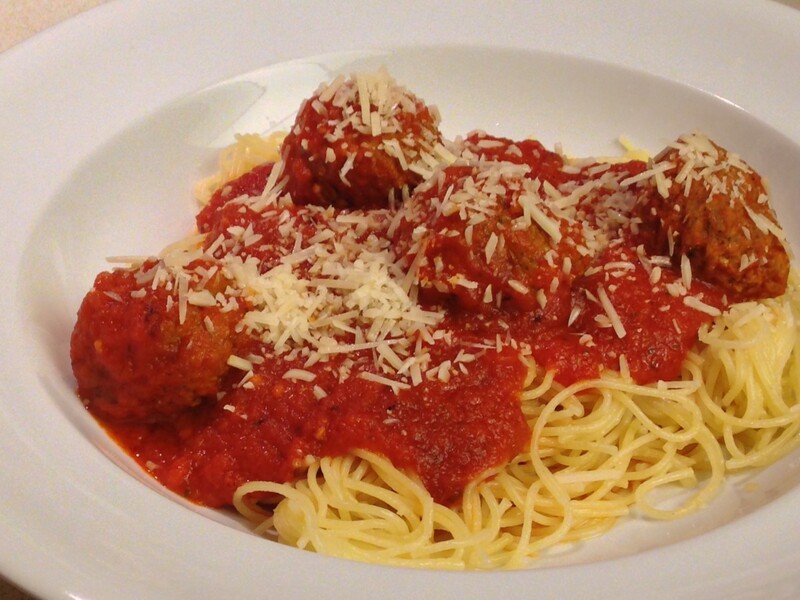 My daughter and I love spaghetti and meatballs, but I usually use beef meatballs. I'm definitely going to try the turkey kind, I think it would be healthier, don't you? Carol, I too use a lot of ground turkey... I almost always sub ground beef with it. I'm so happy you like this recipe ^_^ Thank you for your lovely comment and vote!! Thank you Meldz!! I'm sorry I took so long to reply! If you came over for dinner I'd fill you up so much you'd need to be carried home ^_^ Thank you so much for your wonderful comment and votes! Always lovely to hear from you my friend. 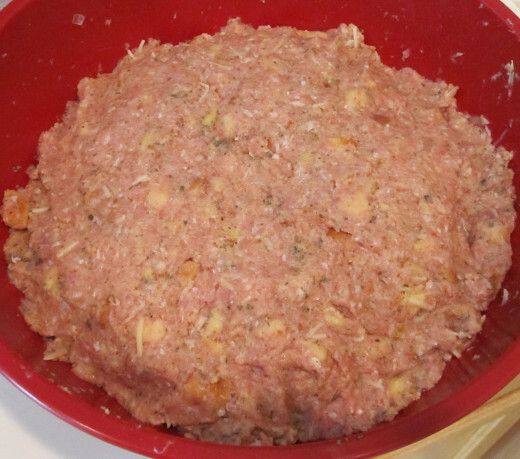 I use ground turkey a lot..this recipe sounds really good. I was getting bored with all the old ones. Thanks for sharing..Vote UP. Yum yum looks so good and my plate is ready for my servings. Thanks for sharing Mama Kim 8. I completely missed this one; sigh! 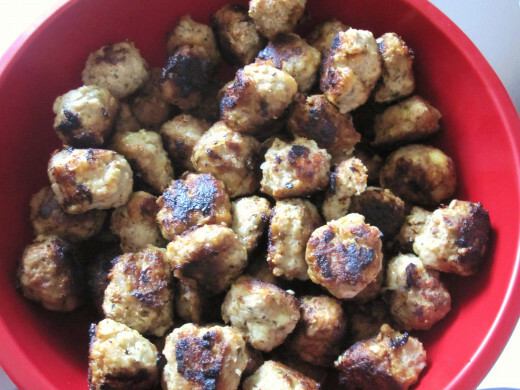 I love meatballs and this recipe looks fantastic. I'm a big turkey fan and actually like turkey burgers more than beef. Thanks for the tip! MamaKim, these sound so yummy! The garlic and onion would make them absolutely delicious. I agree that ground turkey is the way to go! Voted up and shared. Terrye, Thank you so much! Your comment and votes are wonderful ^_^ I hope you enjoy them. Mama Kim, these look great! I will have to give these a try! Thank you. Voted up and more. Yum! THese look great, and so easy too. Mhatter, Hmm.. I've baked, deep fried, pan fried and cooked them in tomato sauce... but have never boiled them in broth ^_^ Now that sounds like one I'll have to try! Sounds healthier. Thanks for the idea and for your comment. Old Roses, Thank you for your lovely comment ^_^ As for my sauce recipe... I missed my chance to do a proper hub on it... but I searched the internet recipes and found one that's close.. Your recipe sounds good. Ever boiled your meatballs in broth? I do love turkey meatballs, but my family prefers the beef. Your recipe is very good and one that I am going to try to make soon -- for myself. Sounds like a must pin!! Now turkey and meatballs... Both my favorites!! Shared. This sounds wonderful! I never thought of using ground turkey. I can't wait to try it. Do you also have a good sauce recipe??? This is making me so hungry! lol! seriously I know other people say it but trust me its true! wonderful recipe, thanks and rated up! Sangre, It makes me happy to know this will be added to your collection. Thank you so much for your comment. Deborah, That's fantastic you use ground turkey so much, I do too. I always make my traditional lasagna with turkey... it really tastes better doesn't it ^_^ Thank you so much for your wonderful comment and share!! kikalina, The onions add such great flavor. Maybe if you chop them really fine they'll stay ^_^ thank you for your visit. So glad I found this recipe as I have begin to run out of mince turkey recipes. 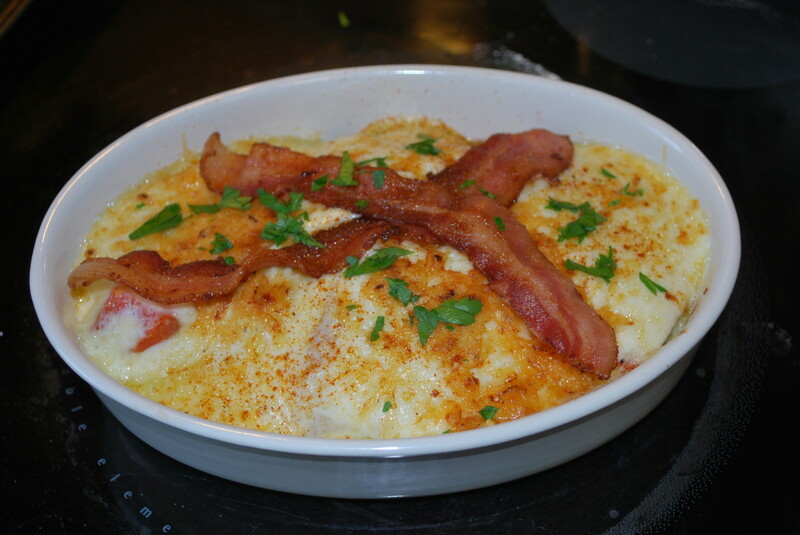 MamaKim, another winning recipe from you that I have pinned and plan on trying for my family. Have also voted and shared too!!!! Great idea. I usually elimate the onions because they keep falling off. A yummy recipe! I have eaten meatballs at some hotels but have not made them at home. This is something I would like to try soon. Here, we eat only fish, chicken and mutton(lamb). I decided to make chicken meatballs. Chicken is also as healthy as turkey. An engaging hub with the direct instructions, handy step-by-step photos and above all, delicious looking photo! Well-done!